PRDP, now the highest Diwali Grosser of all time! 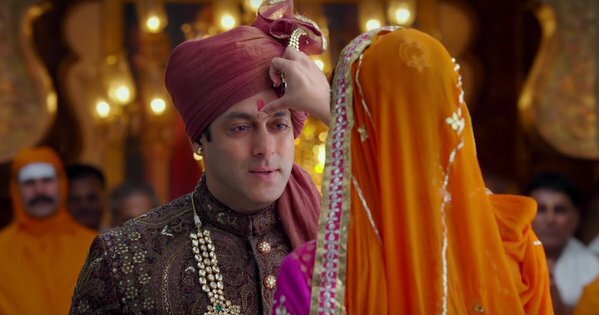 Superstar Salman Khan’s second movie of the year, biggest family entertainer Prem Ratan Dhan Payo has become the highest grosser movie of all time that has released on Diwali. The movie was released on the next day of Diwali on 12th November with a screen count of 4500 in India and 1100 in overseas. It has received very positive reviews from most of the critics as well as audience. PRDP has recorded overwhelmed response from audience across the globe. Everyone liked the movie and find it worth watch entertainer to enjoy with family. At domestic box office, Prem Ratan Dhan Payo had already surpassed the lifetime business record of Shahrukh’s Happy New Year & Aamir’s 3 Idiots and acquired the 7th position among Bollywood’s top highest grosser movies of all time. Still it is heading smoothly and at worldwide box office also, it has dominated both the movies HNY & 3 Idiots and become 5th highest worldwide grosser Indian movie of all time. Prem Ratan Dhan Payo has not received much response as Bajrangi Bhaijaan but still it has collected over 400 crores gross in just 20 days at worldwide box office including shares. Till its 19th day, this successful collaboration of Salman, director Sooraj R. Bartajya & Rajshri Productions, has done the business of total 207.4 crores on its Hindi screens. That includes 165.45 crores of first week, 36.07 crores of second week & 5.91 crores of third week till Monday (0.80 crore included). Gross total collection of the movie in India is calculated as 305 crores. From overseas screens, it has reported total 94.37 crores* ($14.2 millions). That means the worldwide gross total of PRDP is 399.37 crores*. On its third Tuesday, Prem Ratan Dhan Payo has received very occupancy and minted the amount of near about 0.75 crore* in India & 0.30 crore* in overseas. Till the end of its 20th day, total gross collection of the movie is recorded as 400.38 crores* worldwide.